I know you were imagining yourself in Richard Branson's shoes when we were up in the sky =P. It was a great experience despite the horrendous organisation. Looks like you had a lovely balloon ride. 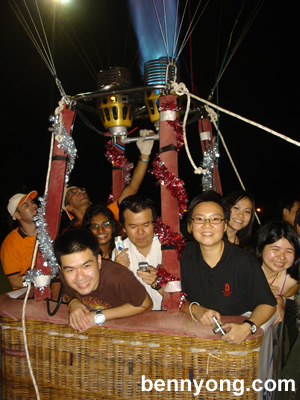 Every sunday morning only have this hot air balloon ride?